A look at the filming locations used in SPECTRE. Speaking at Pinewood Studios in early December 2014, director Sam Mendes revealed a number of details about the 24th James Bond film. The event took place the week before filming started and Mendes announced the new film was to be titled SPECTRE. He also unveiled the Aston Martin DB10 and introduced the principal actors. Later the same day a press release divulged the filming locations. These were Pinewood Studios and London, Mexico City, Rome, Austria and Morocco. Here we take a look at each of the locations used in SPECTRE . The scenes in the pre-title sequence were filmed in Mexico City between the 19th and 31st March 2015. 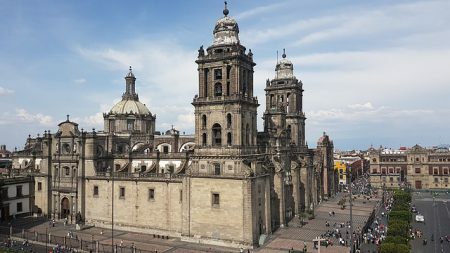 The entire sequence was filmed in and around the historic Plaza de la Constitución, more usually known simply as Zócalo. The scenes feature an elaborate Day of the Dead parade staged especially for SPECTRE, ending with a fight in a helicopter with the panicking crowds in Zócalo below. While the Day of the Dead is celebrated throughout Mexico, the parade is not typical. 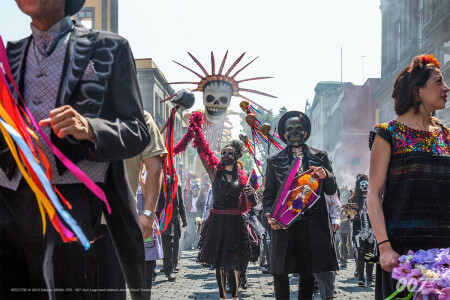 It is only after the release of the film that the authorities in Mexico City decided to put on a parade each year inspired by the sequence from SPECTRE. However, as is often the case in films, not everything is as it seems. 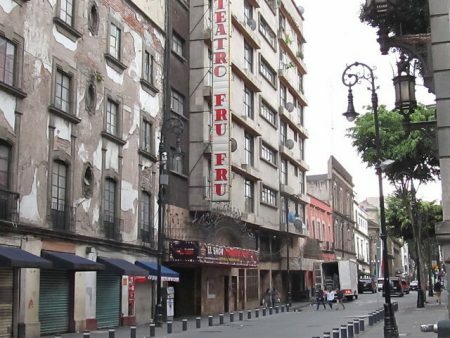 When James Bond and Estrella enter the hotel it is not the Gran Hotel Ciudad De Mexico (82 Avenida 16 de Septiembre), whose logo it bears, but a building located at 12 Calle de Tacuba. The elaborate interior with the cage-style lift was shot in the hotel itself though. There are two lifts in the hotel, which you can see if you navigate the panoramic photo. You can even “walk” into on of the lifts. The drummers seen at the start are in front of the National Art Museum at Plaza Manuel Tolsá, just along from the fake hotel entrance. Plaza Manuel Tolsá. Photo by Nan Palmero (CC BY 2.0). After Bond exits his room via the window the Palacio de Minería (Palace of Mining), opposite the art museum, is seen behind Bond. 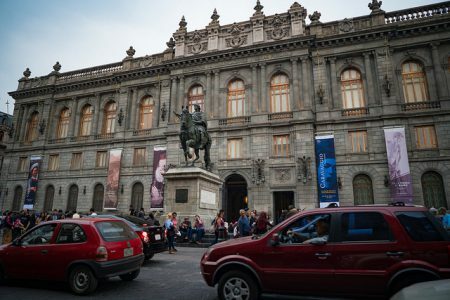 But the building Bond would be on if he were really there, the old headquarters of the senate of the republic on 9 Xicoténcatl, is quite different from how it is portrayed in the film. For instance. there is no alleyway between buildings for Bond to jump over in real life. Once he gets to the the back of the building real life takes over again though. At 24 Calle Donceles you’ll find the historic Teatro Fru Fru. The meeting between Marco Sciara and Gallo takes place in a room within theatre building. This is where the explosion takes place, causing its facade to collapse. Teatro Frou Frou was the building in which Marco Sciarra is seen meeting his associates. Photo by Rafael Alcázar Romero. Afterwards Bond chases Sciarra as he nears a helicopter in the middle of the Zócalo. During the fight in the now airborne helicopter you can see much of Mexico City’s historic centre spinning past, including the Cathedral. Once again filming took place on the soundstages of Pinewood Studios, where the production was based. 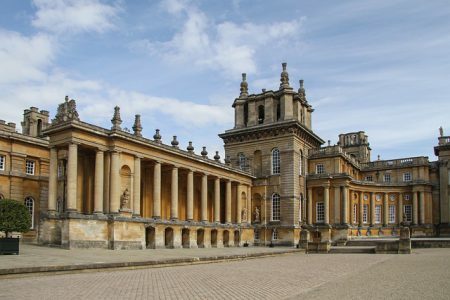 SPECTRE also used a number of locations across London as well as Blenheim Palace in Oxfordshire. After Bond returns from Mexico he has a meeting with M, during which he is introduced to C. Afterwards Bond strides through a circular courtyard. Just as he is about to exit Moneypenny manages to intercept him to hand over his personal effects. This is located in centre of the building that houses the Treasury and Revenue and Customs. Beneath the Treasury is the Churchill War Rooms where Winston Churchill installed himself during World War II. The entrance is next to the steps from Horse Guards Road up to King Charles Street. Bond asks Moneypenny to bring his belongings to his flat that night. The exteriors were shot at outside 1 Stanley Gardens in Notting Hill. Rather confusingly the front entrance is actually on Stanley Crescent. In Skyfall the real life MI6 headquarters was damaged by an explosion and so in SPECTRE it is scheduled for demolition. And while MI6 is working out of other premises, the Centre for National Security (CNS) has been constructed on the opposite bank of the Thames. While there is a 16 storey apartment block there, it is very different from what you see in SPECTRE. The building was being constructed during filming and makes use of heavy CGI on screen. Of course at the end of the film the MI6 building collapses, the James Bond universe veering sharply away from reality in a way that confronts many Londoners every day. 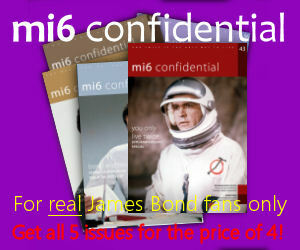 I wonder if the series will be rebooted again when they introduce a new actor and the MI6 building can be used again. While external shots of the CNS building were CGI, the interior spiral stairwell was shot at City Hall. Situated on the south bank of the Thames, this is where the Mayor of London has his office. Early during filming Daniel Craig and Rory Kinnear were seen on the Thames near Vauxhall Bridge and Camden Lock. This is the scene in which Tanner takes Bond to Q’s new lab. They enter a tunnel near Millbank Tower on the north bank of the Thames, although it doesn’t exist there in reality. It is possible interiors were shot in Camden Lock though. One location that is more straightforward is Rules restaurant. Rules Restaurant. Photo by Herry Lawford (CC BY 2.0). Moneypenny and Q go to find M and tell him 007 is in north Africa. Located at 35 Maiden Lane in Covent Garden, Rules serves traditional British dishes. 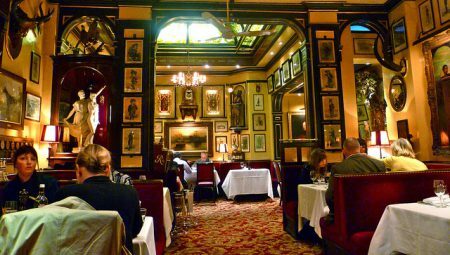 Founded in 1798, it’s the oldest restaurant in London. M’s table is easily identified by the large picture hanging on the wall in front of him. After Bond and Madeleine return from SPECTRE’s Moroccan hideaway M leads Tanner and Q to an MI6 safe house, Hildebrand Prints & Rarities. They exit at street level onto Spring Gardens, next to Admiralty Arch. 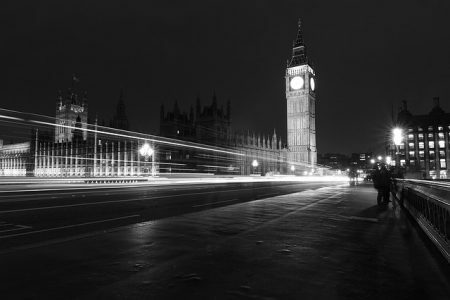 The scenes of the cars crossing London were shot at various locations. Starting at the top of The Mall and under Admiralty Arch, they go down Horse Guards Road onto Birdcage Walk and Storey’s Gate. The next identifiable location is Coleman Street, from where they turn into a tunnel. In reality this White Horse Yard, is a loading bay that has been CGI enhanced to look like a tunnel entrance. The tunnel scenes were actually filmed in Castle Baynard Street, while M escapes up Bennet’s Hill and onto Queen Victoria Street. Meanwhile Bond is driven down Horseferry Road towards the Thames as they head for the old MI6 headquarters. More filming took place next to the Thames for the climax. These are the scenes when Bond and Madeleine pursue Blofeld’s helicopter in a speedboat. They go under Lambeth Bridge with Bond shooting at the helicopter. As the chopper goes down you can see the London Eye in the background several times. 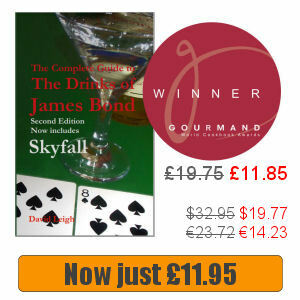 The helicopter comes down on Westminster Bridge, where Bond confronts a wounded Blofeld. The final scene of 007 and Madeleine driving off in the DB5 was shot in Whitehall. It’s next to the building in which the Department of International Trade is located. Blenheim Palace stood in for the palace in Rome is which SPECTRE met (Pixabay). As well as Mr White’s cabin next to Lake Altaussee, one of the film’s major action scenes was shot in Austria. The high speed pursuit through the streets of Rome was shot over several nights and various locations across the city. The production also moved to Morocco. They shot scenes in Tangier and at the location of a crater near Erfoud.